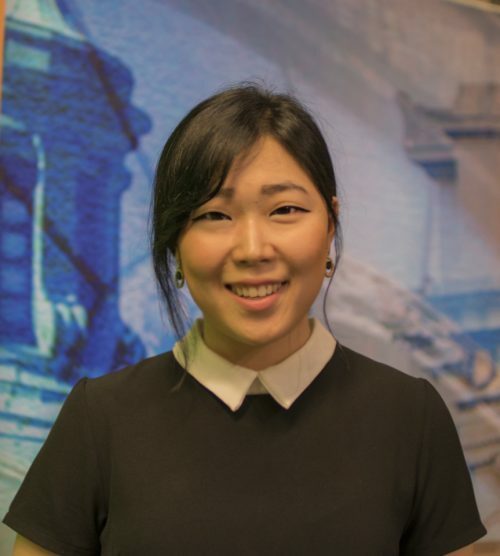 Rebecca Lee is a PBS NewsHour weekend intern. She graduated from Boston College in May 2014 with a dual degree in communications and human development. She has interned for various television news stations including NY1 and WCVB-TV, an ABC-affiliate in Boston, WGBH and the New England Center for Investigative Reporting (NECIR). Rebecca was born and raised in New York City, and lives in Harlem. She currently studies at Columbia Journalism School and is an Alfred I. duPont-Columbia Awards research fellow. Pope Francis canonized two 19th-century Palestinian nuns Sunday, making them the first Arabic-speaking saints. Australia will widen curbs on shipping around the Great Barrier Reef in an effort to protect the endangered coral system, the government said Saturday. Hampered by poor weather conditions and avalanches in northern Nepal, authorities said Sunday they would suspend the search for bodies following last month's 7.8 magnitude-earthquake. The population of large herbivores is declining, posing potential long-term threats to ecosystems worldwide, a new study found. Protests in Baltimore over the death of a black man who was fatally injured while in police custody turned violent on Saturday, leading to dozens of arrests, injuries and damage to city storefronts. More than 1,400 people have been reported dead after a powerful earthquake struck Nepal on Saturday. Amazon has won the Federal Aviation Administration's approval to test delivery drones in the United States, as long as the drones fly no higher than 400 feet and no faster than 100 miles per hour. The New York chapter of the Boy Scouts of America has hired its first openly gay summer camp leader, the organization announced Thursday. In 2010, farmers across the globe used more than 63, 000 tons of antibiotics annually, the study estimated.